The Seaway Region is home to several historic performing arts centers and outdoor venues, with something for everyone. Original theater works and Shakespeare, Classical ensembles and Country Stars, Opera, Comedy, and classic County Fairs with so much more to offer! During college semesters, the variety of performances are endless in St. Lawrence County. And during the summer, St. Lawrence County offers up a variety of open air summer concerts happening across the county all season long. From jazz quartets to string ensembles, to heritage folk music, to universities’ performances, St. Lawrence County offers a wide range of entertainment that is free and open to the public. To find out when the next performances are check out St. Lawrence County’s calendar. The communities in the Seaway Region feature nationally-known museums highlighting local history and art galleries displaying the work of local artists. In the 1000 Islands, try the Thousand Islands Arts Center, the home of the Handweaving Museum. Oswego County offers up the Safe Haven Holocaust Refugee Shelter Museum. 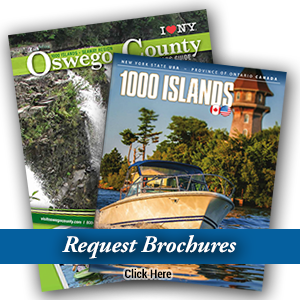 St. Lawrence County is the home to the Frederic Remington Art Museum, Traditional Arts in Upstate New York, Hammond & Colton Barn Quilt Trail, and many more. There are also several art festivals within the Seaway region that features a variety of local artists and craftspeople. St. Lawrence County is home to several art festivals happening all year long, such as: Mare’s Wares Art Fest, Craft, Food, and Wine Show, Tastes and Talents of the North Country, Cranberry Lake Art Show, and Remington Art Festival and Sale.